NEW apartment in luxury residence on the seafront between Cannes and St Tropez. Possibility 4 people. This residence with its feet in the water largely open on the Mediterranean invites its occupants to practice water sports. The rooms have superb views of the sea or the park. "l'alloggio corrispondeva a quanto dichiarato, e' situato all'interno di un parco tranquillo e rilassante . Vicino al centro di St. Raphael e a Frejus. 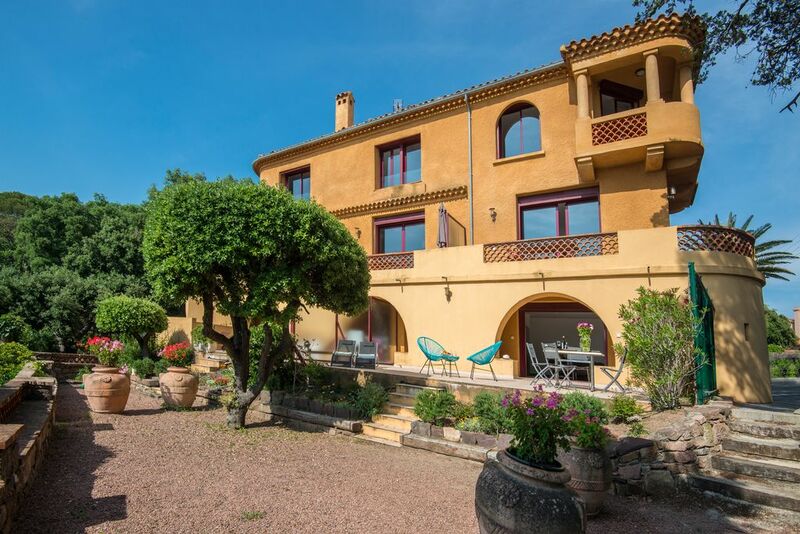 take the motorway to Fréjus Saint Raphael, then follow the seaside direction Cannes, after the new marina turn right to enter the private park of Santa Lucia. The sails of Saint Tropez from September 27 to October 4, gathering of the most prestigious yachts of tradition and modern. Coastal courses and challenges organized by the Nautical Society.